If your relationship has ended and you need productive and effective discussions about the future UK Family mediation Fareham can help a couple, parents or guardians to settle on the best way forward for all concerned. Whether two parents are facing the end of their relationship and need help to agree access arrangements for their children or two siblings need help in deciding how to divide finances, a mediator can help you call us today. Taking the initiative to work with a mediator is empowering and allows you to make your own decisions and maintain decision in a timeframe that works for you. 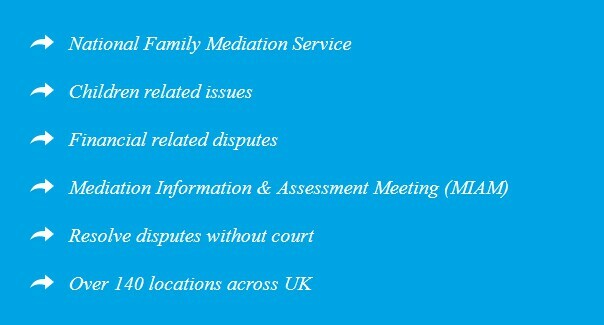 Mediation involves talking through all issues affecting family life. This can happen before, during or after any family event, such as divorce or separation. This focus on communication helps everyone come to terms with changing circumstances. Children, in particular, find this communication helps maintain family relationships. Mediation is a fraction of the cost and half the time of relying upon Solicitors. 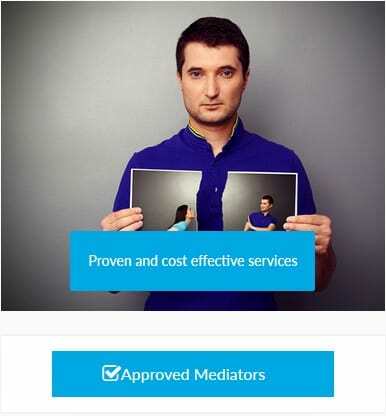 Mediators are trained to help untangle the complex web of issues surrounding any family breakdown, find better ways of communicating and help everyone to focus on finding the best way forward for children and parents. An impartial individual can often offer the best chance of moving beyond current difficulties to an improved future and find solutions that work. What issues do we deal with? UK Family Mediation Fareham can help all members of a family (not just parents and children) resolve difficulties about property, other possessions, finance, business, debts and parental access rights. Sometimes mediation involves only both partners in a difficult relationship but other times mediation is needed between adult siblings, teenage parents or parents and their adult children or grandparents too. Mediation is a process of conflict resolution that involves including a neutral third party. The third party is unbiased and picks no side. It focuses primarily on the needs of the family, especially children. The court process can be very stressful for the family and also costly as well. The parties involved do not have to be in speaking terms as the mediator manages the communications. The mediator doesn’t advise the people involved on what to do but helped the family come to a reasonable solution. There are a lot of things that need to be settled during operation like property disputes both in the country and abroad. It includes huge deals such as family debts or even overseas homes. The process of mediation Fareham can be monitored and a report briefing is given to the parties involved. Unlike the court process that may take a lot of time even months, mediation can be done within a short time. The mediation sessions are fast and can be planned to fit into your busy schedule. The process doesn’t have to disrupt the normal family routine. The parties can speed up the process if they wish to unlike court procedures where one has to fully commit and follow the rules. It is very normal for the mediation process to take a short period of time and people know what they want and just need the results. It is very time-saving. (2) It is less stressful. Family conflict can be very stressful and the process of solving the conflict can be hard for the family. Mediation Fareham is less straining as it is not done in a court or by force. People get into mediation willingly unlike court summons. It can be done in a relaxed location such as a garden or conference room the parties want. The parties involved do not have to argue or shout as they are more interested in coming to an agreement. (3) It can save the family money. When a family chooses to go through the court system Fareham they have to be willing to spend money. There are legal fees to be paid and also transport bills which can be very costly and out of the budget. In mediation, the process is less costly because there are no legal bills to be paid such as lawyer fees. In fact, if a lawyer is to be used in the process the cost is relatively cheaper. (4) It is a private process. Family disputes are better of solved in private for the better of the family. Court sessions are very public and dealing with a problem under the spotlight can be hard. Court records can be accessed using the internet and the process is not confidential. Mediation takes place in a private location including only the necessary parties. (5) It can be directed to specific issues. Sometimes the problem can be one thing and mediation can be focused on a certain issue. If it is an of where the children will live or the school they will attend. Mediation Fareham can help solve such a problem with precision. Mediation deals with contact orders and also residence order. There are also some don’ts that should be discussed in the process they are referred to as prohibited steps order. (6) The arrangement and solution last longer. Mediation is very effective as the parties are more likely to follow through their word because t is not forced. The agreement is based on their own terms and hence they are more concerned in the outcome. Mediation allows the parties involved to come to an agreement that they can actually fulfill. It focuses on the coming up with a solution rather than focusing on the past. (7) It is preserved relationships. For families that want to preserve their relationship, mediation can be very helpful. Disputes make the parties involved drift apart. If there are children involved maintaining the relationship can be very beneficial. All parties involved sit together and agree on a solution by listening to each other’s demands. Finances can be a problem during the family conflict. It includes dividing the houses, business assets, pension, and also the saving investments.